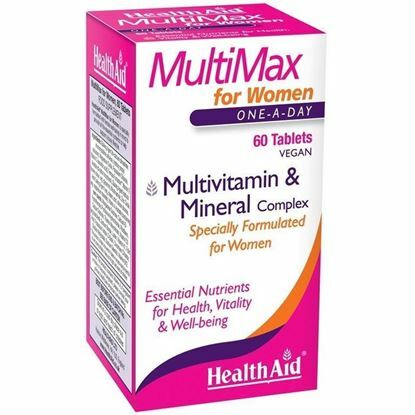 Healthaid MultiMax for Women tablets provide a complete vitamin and mineral formulation; ideal for supporting female health. 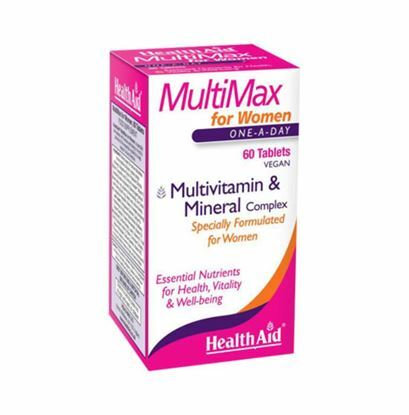 HealthAid MultiMax for Women can ensure that we meet the recommended levels of nutrients for good health and safeguard against any nutritional deficiencies. The formula includes calcium, magnesium and vitamin D for strong bones, B vitamins for normal metabolism and iron, which helps combat tiredness and fatigue, as well as antioxidants to help protect against oxidative damage to the body cells.